Engagement rings are a big deal for a few different reasons. Not only are you committing your life to a single person, but, if you are the one who has to purchase one, then you are also spending a large sum of money. It is always wise to make sure this person is the end all, be all! After all, there is no point in purchasing engagement rings every few years. When you decide to pop the big question, you should already know that you are not willing to spend your life without this person. They should compliment you perfectly and truly care about your well being. Everyday spent with this individual should feel like a gift from God. If the thought of calling her your wife or him your husband truly excites you, then now is the time to begin browsing an array of beautiful engagement rings. Before you enter a jewelry store to purchase a ring that costs a few thousand dollars, you should definitely educate yourself on the topic at hand. After all, you would never buy a house before having a home inspection done. Jewelry can be expensive, so always make sure you are getting what you pay for. The internet is a great tool to learn more about diamond engagement rings. Here you can find pictures of every kind of style in existence. If you are not sure what kind of ring she would like, then this will certainly help. It may behoove you to look at her existing collection of rings. Take some pictures of what she has so you can present them to your jeweler. When you walk into the jewelry store, you should know if she prefers the basic colors of silver or gold and also the cut of the diamond. The rest will fall into place. Hopefully she has dropped some hints before you decide to make the big purchase, but if she has not, it will be okay. She probably has some friends she has discussed this with, so get in touch with them. You may even want to bring them to the jewelry store with you so you can see exactly what they pick out for her. 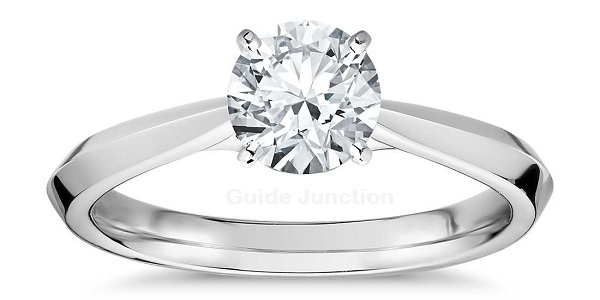 At the end of the day, the perfect engagement ring is one she is happy with and one that fits into his budget. Both parties should be comfortable and confident with the end results.